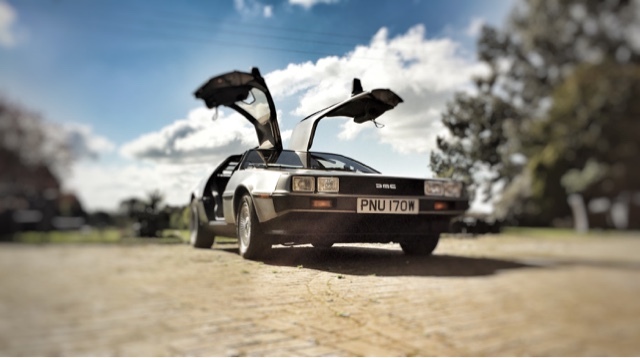 My relationship with the DeLorean DMC-12 has been wobbly and wavey. Like most of the Western Hemisphere I've loved John Z's insane creation since childhood. When I got the chance to put one on our hire fleet I was quite excited. And that's where the problems began. Literally. The DMC-12 has, as I discovered, a well-earned reputation for naffness, for being less than its amazing looks and time-travelling reputation imply. It's also catastrophically unreliable. I fell quickly out of love with it when the wheels kept falling off. Literally. Ever since I've tended to be bit harsh about the DeLorean. Trying to winch a 3-wheeled example onto a trailer on the M40 at 1am tends to do that to a person. But a recent film project gave me the chance to re-evaluate the DeLorean. So here's what I discovered, good and bad. No classic car, bar none, attracts attention like the DeLorean. I can't vouch for supercars but I'm prepared to bet it can outrank them too. I've been lucky enough to drive a lot of desirable classics and none of them elicit shouts and pointing fingers like the DMC-12. And the great thing is that it's all positive. They may consider the driver to be an arse, but the car delivers love. Small children and dogs are endlessly fascinated by revolving doors and automatic doors. But gullwing doors charm everyone, young and old alike. They may be stupidly impractical and more showy than an episode of X Factor, but gullwing doors just make the otherwise mundane task of getting in and out of a car a sheer joy. An occasion. Even taking into account that the DeLorean was essentially an American car and American cars are hardly the last word in quality control, the DMC-12 build quality is shockingly shoddy. The exterior panels have gaps that could easily be called Watford and the interior is less assembled than thrown together. Which might be passable if the component materials were any good, but they're not. DeLorean took a blindfolded rummage in the World Motoring parts bin and literally threw the results at the cars. The DeLorean has a reputation for being a half-finished bitza, combining in-house and Lotus engineering to create a sports car that does nothing very well. That's not quite true. It does feel half-finished, with heavy, wooden steering, dismal gearchange and poor driving position, but plenty of American sports cars of the era were worse. The DMC-12 handles well, in a rapid A-road hustling sort of way, is nicely balanced for a rear-engined car and has a good ride. I can't remember a car I've ever driven that offers less visibility than the DeLorean. Wherever you look, to the front, back or sides, you can't see anything. It doesn't help that the car takes the concept of 'wide' and well, widens it. All of which means that road positioning is less of an art, more of a Hope. Perhaps this doesn't matter in America, where racing across something called The Prairie appears to be The Norm. It is a more pressing issue in downtown Redditch. One of the things that most car people know about the DeLorean is that it uses the unloved 'Douvrin' engine that also found a home in the Volvo 260. Well, that much is true. But it's actually a decent motor that also powered the Renault Alpine GTA. It's grunty and in decent tune quite pockey. 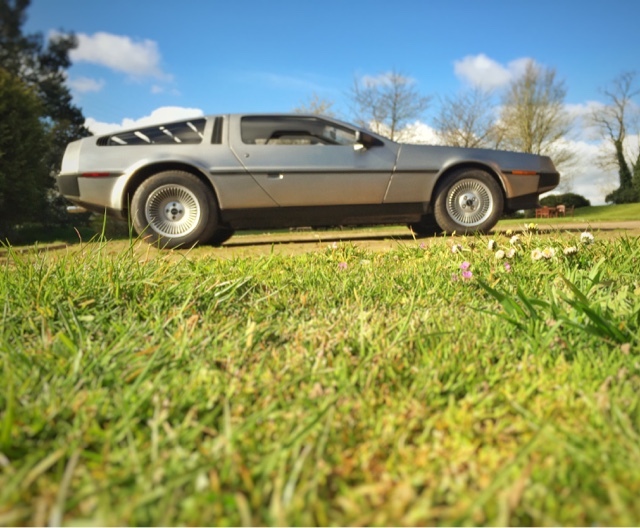 In the DeLorean it isn't in a decent state of tune (it pumps out about 120bhp) and yet the car is surprisingly sprightly. Certainly in the context of sub-200 bhp Corvettes of the era, it's not that bad. One of the strange contradictions of the DeLorean is that it draws attention like moths to a flame but you'd be hard pressed to argue it's a decent looking car. The Lotus Esprit, TVR Tasmin and Aston Martin Lagonda all do the 80s Origami Design schtick much more successfully. The DeLorean looks compromised, under-wheelbased and almost dumpy from some angles. Sure, it's arresting, mainly because it's unpainted stainless steel, but it's not a great looking car. 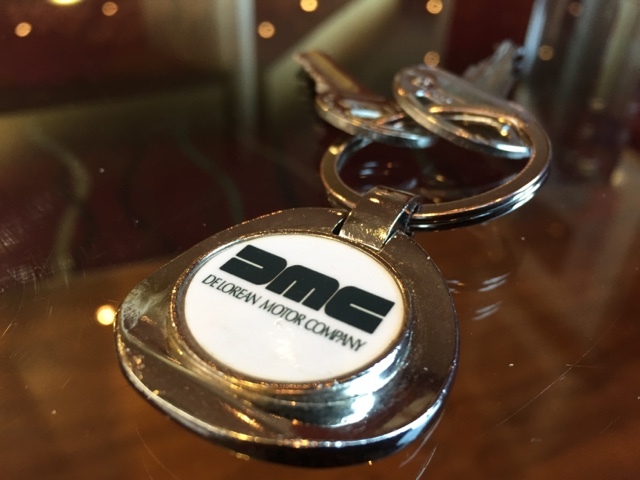 For 40 years between the 60s and early 00s Aston Martin built a business out of mediocre cars driven by a famous spy. DeLorean has inadvertently worked similar magic thanks to Michael J Fox. The choice of the DeLorean as a time machine was inspired but not necessarily due to the inherent amazingness of the car. What many forget now is that back when BTTF was made, the DeLorean was a huge automotive failure - the idea of using an unreliable, unloved car to go back and forth in time was meant to be a joke. 9,200 DeLoreans were sold in 18 months. 10,200 Lotus Esprits were sold in 18 years. While projected volumes were always daftly unachievable, the DeLorean didn't fail due to lack of demand. Had it been built properly there is a strong argument that the company would have prospered and the range evolved. The car has been marked by the sign of failure, but that over-simplifies the story. No matter how hard it tries to stop me, I still really like the DeLorean. It's seriously flawed and plays its cards like an X Factor diva, but there is something about the car that I just love. It's silly, very bad in so many ways but somehow it redeems itself. The DMC-12's weaknesses give it a character so lacking in many contemporary American cars. It may not travel through time, but time has been kind to it. 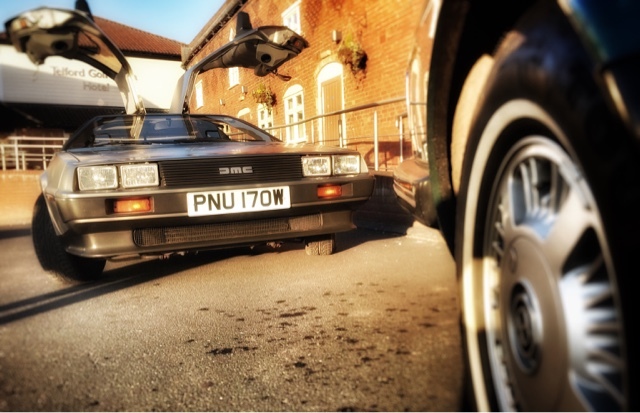 Great Escape Cars sourced the DeLorean for film work, one of 50 cars we are providing this year for the BBC series Antiques Road Trip and Celebrity Antiques Road Trip. Fantastic blog! Congratulations for you!